Centres for analysis and prediction of cooperation with Afghanistan will open in Kazakhstan, president of Azizi ltd. Rahimullah Azizi said in Astana on Thursday. "We are opening centres for analysis and prediction. 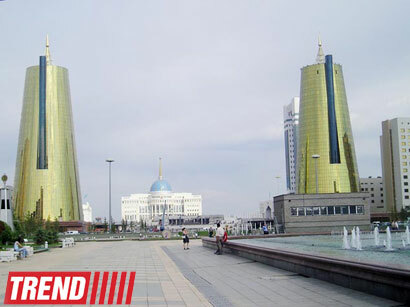 Headquarters will be located in Astana with a separate office in Almaty. The website providing all information on the possibilities of cooperation between the two countries will be launched soon," Azizi said at a Kazakh-Afghan business forum. According to him, a similar centre is planned to be opened in Kabul as well. "Both countries are interested in cooperation, but today there are certain problems. Specifically, low awareness of each other's possibilities," he said. According to Azizi, Afghanistan has enormous economic potential. "We have many mineral deposits and there is a platform for investment. This is very appealing to many Kazakh businessmen. Our task is to deliver all the necessary information to Kazakh and Afghan entrepreneurs," Azizi said. He gave an assurance that the Afghan government guarantees the security of both Kazakh and Afghan investments. "These centres will bring together experts from Afghanistan and Kazakhstan and employ not only economists but also experts, former diplomats, political scientists from our two countries," he said.